The Red Lion Hotel Yakima Center is located in historic downtown Yakima, adjacent to the Yakima Convention Center and just minutes from Yakima Greenway, Yakima Sundome, Yakima Valley Community College and the newly renovated Yakima Valley Regional Mall. We are only 6 miles from the Yakima Air Terminal. Each of our 156 contemporary guest rooms and suites provide quiet, comfortable accommodations to help you rest and unwind. Hotel amenities include free wireless Internet access, telephone dataports, in-room coffee and plentiful Yakima sun at our two outdoor pools. Our Corporate Wing is specially designed to meet the needs of our business clientele. 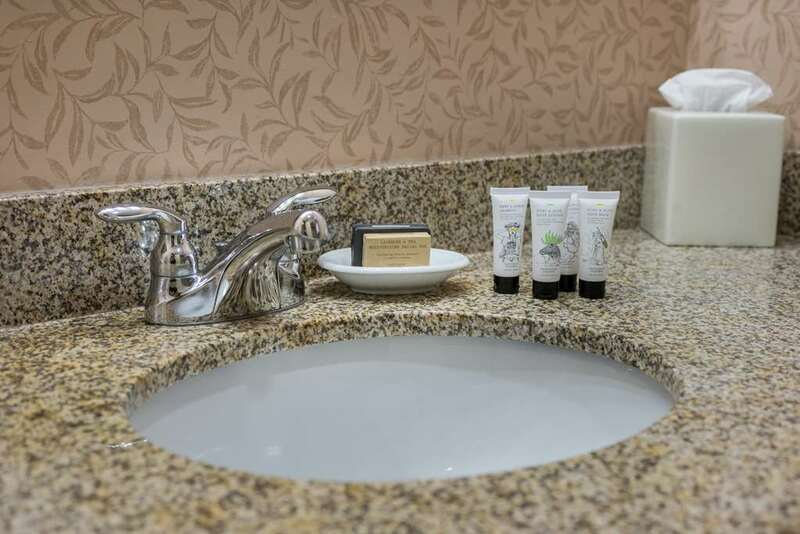 The hotel provides easy access to Yakima Valleys recreational wonderland, the Columbia Basin and the Cascade Mountains. Here you will find rivers and streams perfect for boating and canoeing, breathtaking wilderness landscapes and many fine golf courses, including the famous PGA rated Apple Tree Golf Course nestled among several apple orchards. The areas nationally renowned wineries offer daily tours and sponsor numerous wine and food fairs throughout the year. In the winter months, enjoy downhill skiing at our famous White Pass resort, home of Olympic Gold and Silver Medal winners Steve and Phil Mahre, and numerous cross country ski trails in the area. While enjoying your next stay with us, be sure to experience happy hour in Johnnys Lounge, where you will be served by our top notch staff and friendly smiles. The Red Lion Hotel Yakima Center is also the perfect complement to Yakima Convention Center activities. With 10,000 square feet of meeting and banquet space, we can accommodate a wide variety of events, from small meetings and seminars to groups of up to 250. Yakima Air TerminalExit onto Washington Ave from airport to your right, take a left on 16th Avenue approximately 6 blocks take a right onto Yakima Avenue - approximately 2 miles, the hotel will be located on your left.